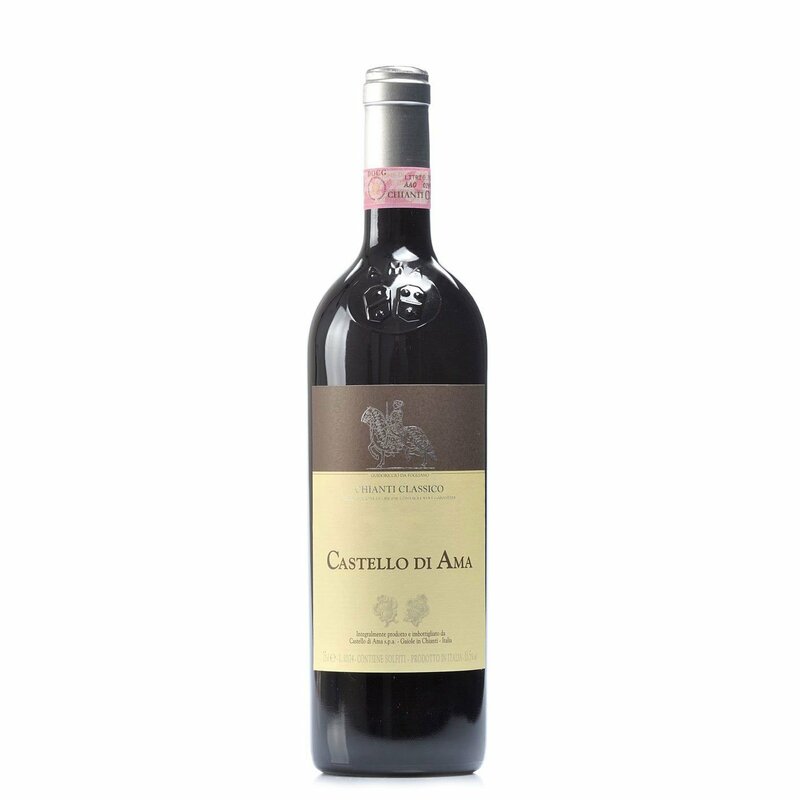 The Chianti Classico Castello di Ama stands out for its effortless elegance and deliciousness. In the glass it radiates an intensely vivid red shine. On the nose red fruit aromas mingle with spicy suggestions. The opening notes in the mouth are pleasureful and brilliant, in continuity with the olfactory introduction. A sensorial delight, we advise partnering it with red meat dishes – stews, roasts, grills – and mature cheeses. The Castello di Ama label takes its name from a small hamlet among the hills of Chianti, renowned since the Eighteenth century for its beauty and for the fertility of its surrounding terrain. In the 1970s, a group of families attracted by the beauty of the place decided to take up the challenge of restoring the Ama castle to its former glories, producing a Chianti Classico now revered around the world.